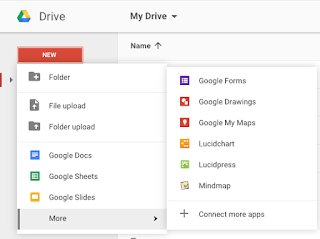 Rural School Technology Adventures: Lucidcharts To The Rescue! As I saw the frustration on my students' facez, I decided it was time to find a new tool. So I went back to drive and looked for another web diagraming tool. That's when I found "Lucidcharts for Education," and immediately I knew it was going to be a better tool for our project. 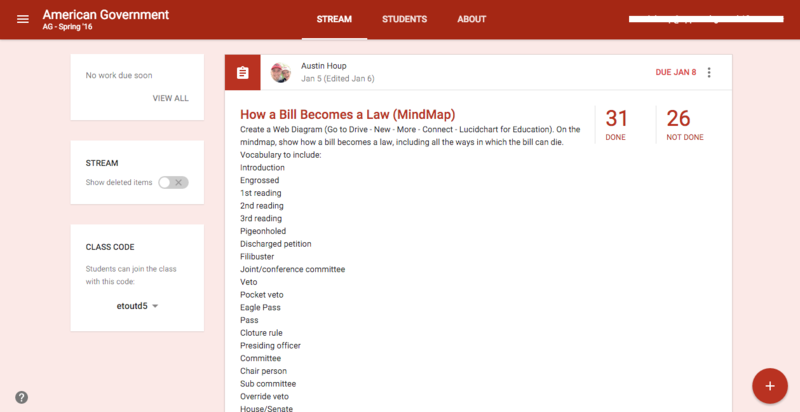 It allowed students to make any adjustments seamlessly, while also saving instantly (which mindmap failed to do). Initially when you sign up for Lucidcharts, it places you in the "free-version" which has various restrictions such as: create only 5 documents and the use of 60 "complexities" (or as I told my students "symbols"). For the project we were doing, the "complexities" limitation was frustrating, but as a program, the students absolutely loved it! 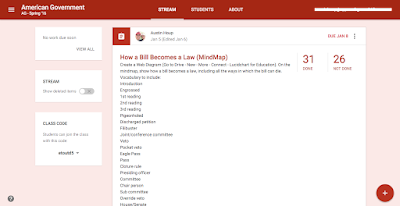 It allowed for quick adjustments, additions, and reformatting that was excruciatingly tough to do on Mindmaps. To create a web diagram using Lucidcharts, just go to your Drive and click the following: New-->More-->Lucidcharts. Then create a document (either blank or from one of their templates) in order to get started. From there, you can drag various symbols over from the left toolbar such as Text, Shapes, etc. With the boxes or text on the document, you can draw lines to help create a flow from one step to the next. (After Lucidchart approved our school for the free education upgrade, you will have unlimited complexities! That definitely made all the difference). To help make the web diagram stand out, students can change the fill color of the boxes, lines, text, etc. I provided the assignment through Google Classroom with the expectations. As students found valuable resources, they would share them via the "class comment" so that other students could use them. When students finished, they would add it to Google Classroom the same way they would turn in other Google Apps products (docs, sheets, slides, etc. ).